A growing trend in readership and publishing comes in the form of the graphic novel. Perhaps a connection with the film industries penchant for comic book superheros, readers are reaching out for bright colors, bold pictures, and quick interchanges of graphic novels. One should not assume that though the interactions between the characters are brief and that often times a graphic novel is a quick read, that that is an indication of a simplistic plot. Many authors and illustrators of graphic novels have the ability to tell a complicated story with vivid scenes and emotion with a single frame. Graphic novels intended for a younger audience are no different and can provide youth with the opportunity to connect with a character experiencing similar harsh but nevertheless realistic events as they are. 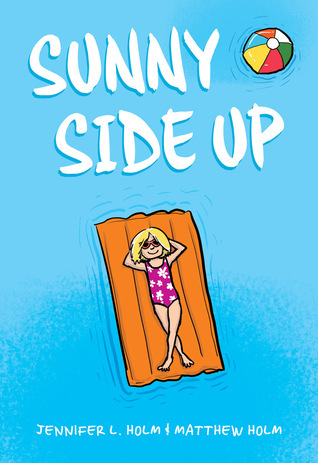 Sunny Lewin is a burgeoning pre-teen ready for summer vacation. Unexpectedly, she is sent away for the summer to her grandfather in Florida. She initially sees it as a fun opportunity (Florida = Disney World, yes?) but the gated retirement community, 4:30 early bird specials, and the excitement of standing in line at the post office is not what she was hoping for. At least she meets Buzz and his groundskeeper/Cuban physicist father and Sunny and the boy create adventures for themselves. The story is intermixed with a few flashbacks to Sunny’s brother Dale and in that we learn that the Lewin family is struggling to help Dale with drug addiction and that Sunny’s trip to Florida is a calculated effort. Not every family story is perfect but the Holm’s work highlights that families work together to progress through even the worst of circumstances. Astrid and Nicole are the best of friends or so Astrid thought. Being 12 is hard sometimes especially when friendships change as people grow. Astrid takes an interest in junior roller derby, an interest she had thought Nicole shared so Astrid quickly signs up for the sport. As is turns out, she goes it alone and suffers the trials of having to make new friends, learn a new and complicated sport, be put under constant physical pressure, and not let her mother learn of the complicated Nicole and Astrid now seem to have. 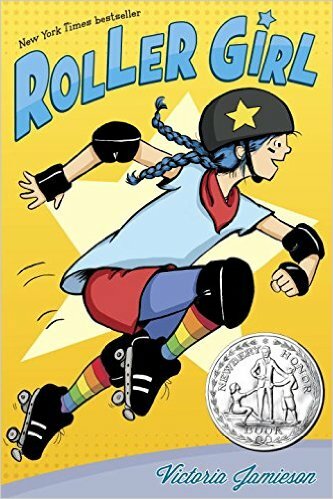 Jamieson, a roller derby athlete herself, depicts the sport accurately alongside the pressures of trying desperately hard to learn, failing, and never giving up. The sequel to Telgemeier’s successful Smile is primarily a story about family dynamics. 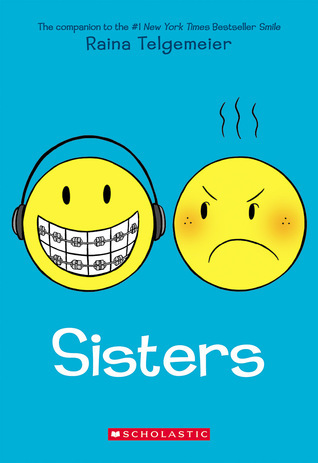 All Raina wanted was a sister and as it turns out, sisters aren’t always so great. At least for Raina and Amara. Throw in a little brother and Raina’s middle school angst warps into hyperdrive. The three siblings plus mom pile into an old van to take a week long drive to Colorado to see family while Dad stays at work and will be flying out later in the week. Without air conditioning but full of dynamic and complicated personalities, the trip is not without conflict. Raina sacrifices all of her snack money to keep her beloved discman running and Amara is (to Raina’s storytelling) an annoying little sister who won’t leave her alone. This story also has intermittent flashbacks alluding to the evolving relationship between the sisters as well as the changing family structure much of it played out without Raina (or Amara’s) observation.